When hunting schooling fish, thresher sharks are known to "slap" the water, herding and stunning prey. The elongated tail is used to swat smaller fish, stunning them before feeding. 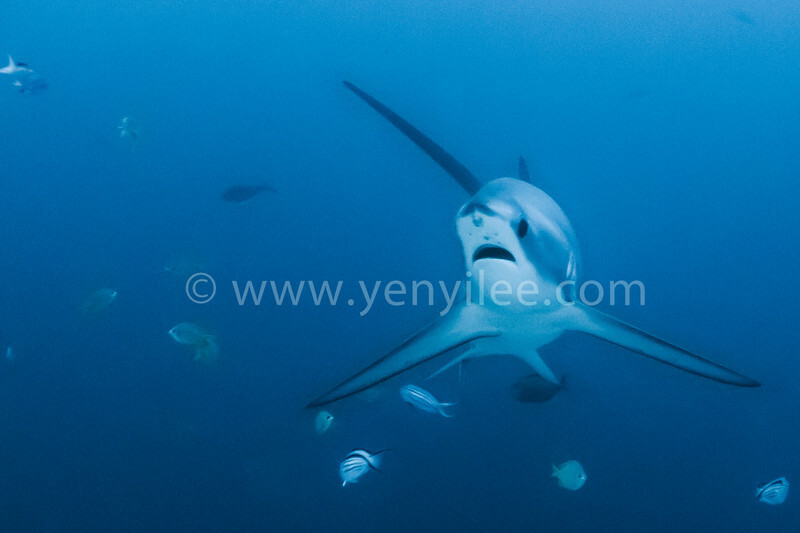 All three thresher shark species have been listed as vulnerable to extinction by the World Conservation Union since 2007 (IUCN).